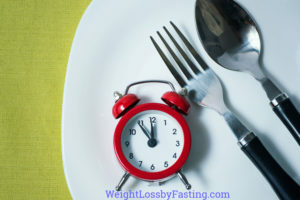 Are you interested in losing weight by fasting? Then read on. 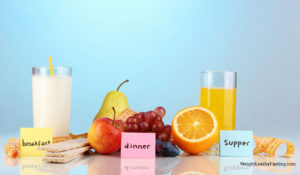 The struggle to maintain a healthy weight can be very difficult. It is estimated that millions of Americans are overweight or obese and it’s affecting the younger generation even more. We are a busy society, always in a hurry. There are so many fast food restaurants, oversized portions and less and less time to plan healthy meals. But what can we do about it? Most people go on a diet just to lose some of the extra weight, but just to gain it back again and probably more! In fact there are a few ways to change your life for the better and get healthier. There are a lot of steps we can take to help jump-start our weight loss program. You need to decide which method will work for you. One way to kick off your weight loss program. It may seem drastic but the results will be worth it. It will kick-start your effort and give you fantastic results. It may seem difficult or overwhelming at first, but it will soon become second nature to you. Also you know it is not for the long haul, It can be a way to get started losing weight and reversing the process of constantly eating and fasting will give you very rapid weight loss which in it self is a great start to getting the pounds off. Another way to lose the pounds quickly. It’s not as severe as total water fasting, but you will feel the pounds melt away. And finally there is juice fasting. Juice fasting is very popular right now. Even the lucky ones that are at a good weight like to juice fast, because of it’s health benefits. Which are many. Many people think it is very healthy to juice fast. It can be, just make sure you do it the right way to lose weight and not consume too much sugar. But, after your fast you will have to learn a new approach to eating. First it should be considered a life-style change, not a diet. We will address all of these methods in this website. If you are getting a little older and finding it harder to lose weight, you are not alone. Our metabolism slows down and let’s face it, it’s harder to be active as we age. Today we have so many tools at our fingertips so it should be easy, but still we fail, why? Hopefully on this site I can enlighten you and help you avoid all the pitfalls that so many of us fall into. That’s why I started this website, to help you succeed. So, stick with me and let’s transform you into a healthy new YOU!